The Native peoples of the Pacific Northwest inhabit a vast region extending from the Rocky Mountains to the Pacific Ocean, and from California to British Columbia. For more than two decades, A Guide to the Indian Tribes of the Pacific Northwest has served as a standard reference on these diverse peoples. Now, in the wake of renewed tribal self-determination, this revised edition reflects the many recent political, economic, and cultural developments shaping these Native communities. From such well-known tribes as the Nez Perces and Cayuses to lesser-known bands previously presumed "extinct," this guide offers detailed descriptions, in alphabetical order, of 150 Pacific Northwest tribes. Each entry provides information on the history, location, demographics, and cultural traditions of the particular tribe. Among the new features offered here are an expanded selection of photographs, updated reading lists, and a revised pronunciation guide. While continuing to provide succinct histories of each tribe, the volume now also covers such contemporary--and sometimes controversial--issues as Indian gaming and NAGPRA. 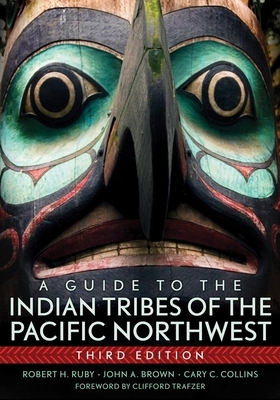 With its emphasis on Native voices and tribal revitalization, this new edition of the Guide to the Indian Tribes of the Pacific Northwest is certain to be a definitive reference for many years to come.